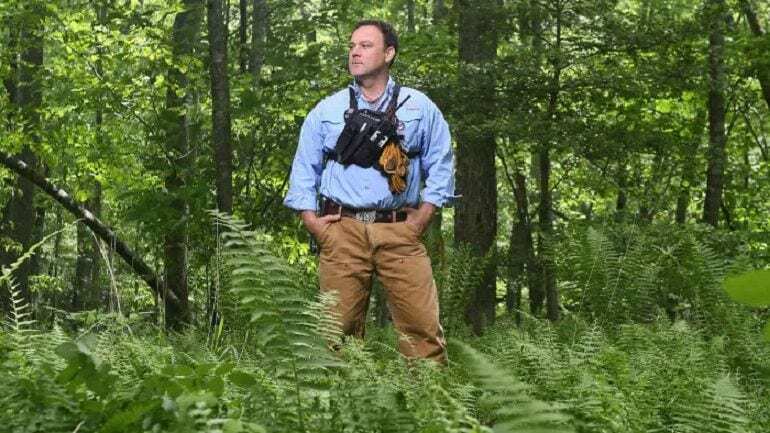 How far would you go to protect an animal? Maybe you once rescued and released a trapped bee from the house, or helped a somewhat larger animal cross a busy road. These small acts of kindness can separate the animal lovers of the world from those who couldn’t care less. However, how far would you really go? You may like to think that you would do anything for an animal in need, but sometimes it could involve putting our own life at risk. 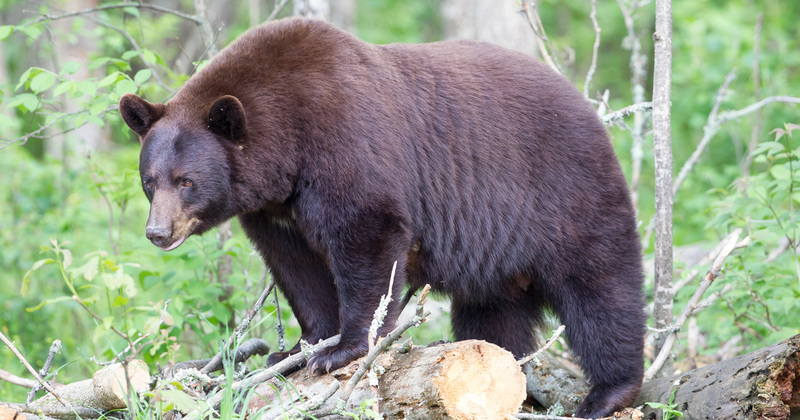 Bears roam all across North America, with black bears being the most common of all three species. They’re known for their incredible climbing and swimming, in addition to their speed on land. However, they’re also wild animals that sometimes wander into towns in search of food. So what would you do if you saw one of them in danger? One man knew he couldn’t stand back and watch as a bear found itself in a life-or-death situation. 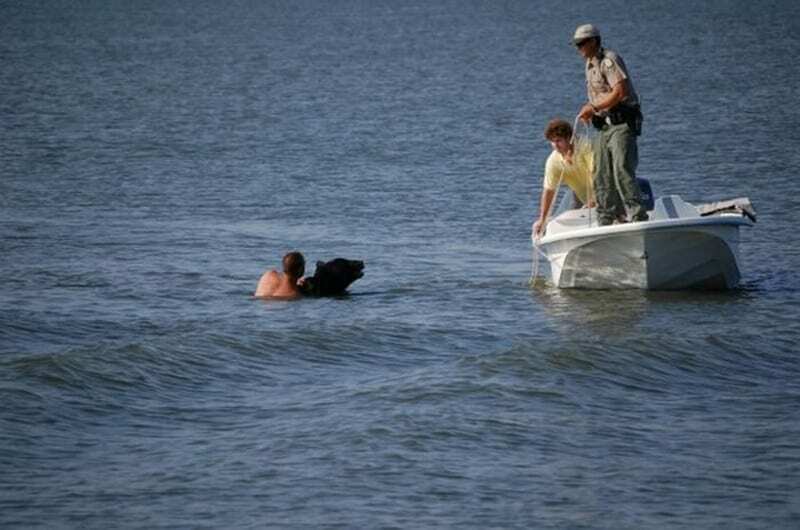 Before the black bear got into the water, it was just a typical day. But then, some of the residents came outside to discover they had a visitor. 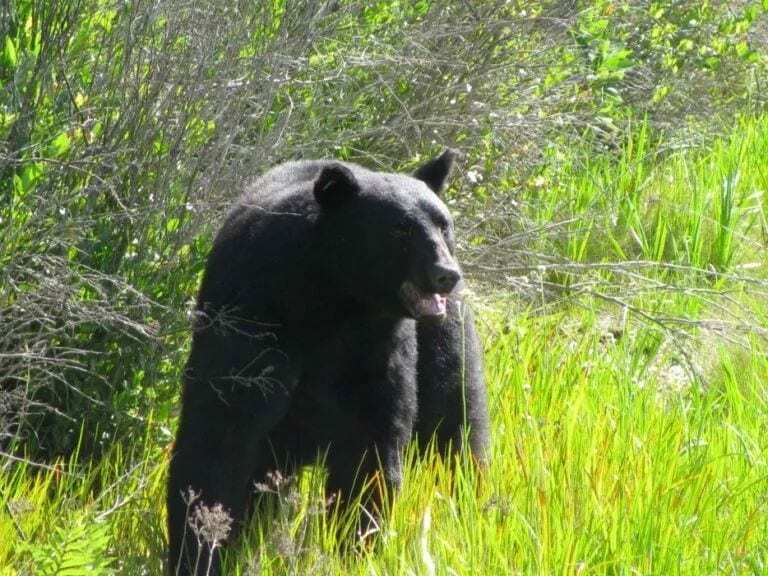 One of the black bears had wandered into the town in search of some food. However, this animal was beginning to make themselves at home. No longer were they just going through the trash cans outside. Now they were starting to go into people’s yards! This bear had started to become too comfortable being around people. The neighbors had to do something. 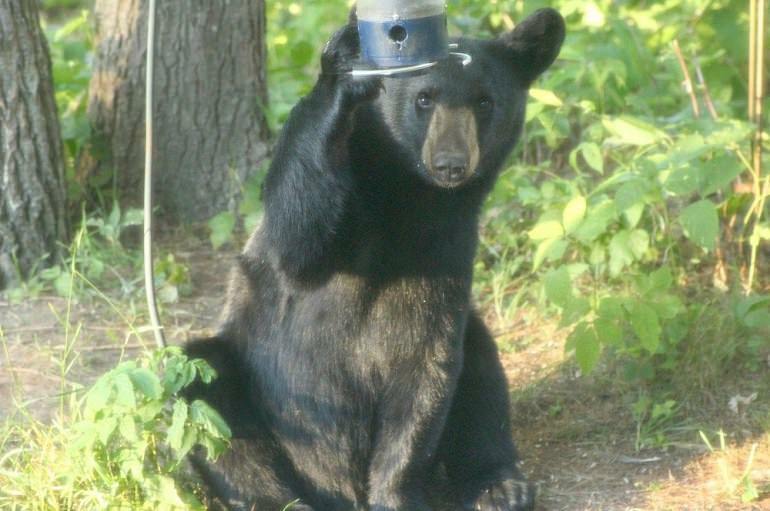 The food available in trash cans, as well as campers leaving food in the woods, means that bears are getting more and more brave as the years go on. No longer are they creatures that hide in the woods all day. 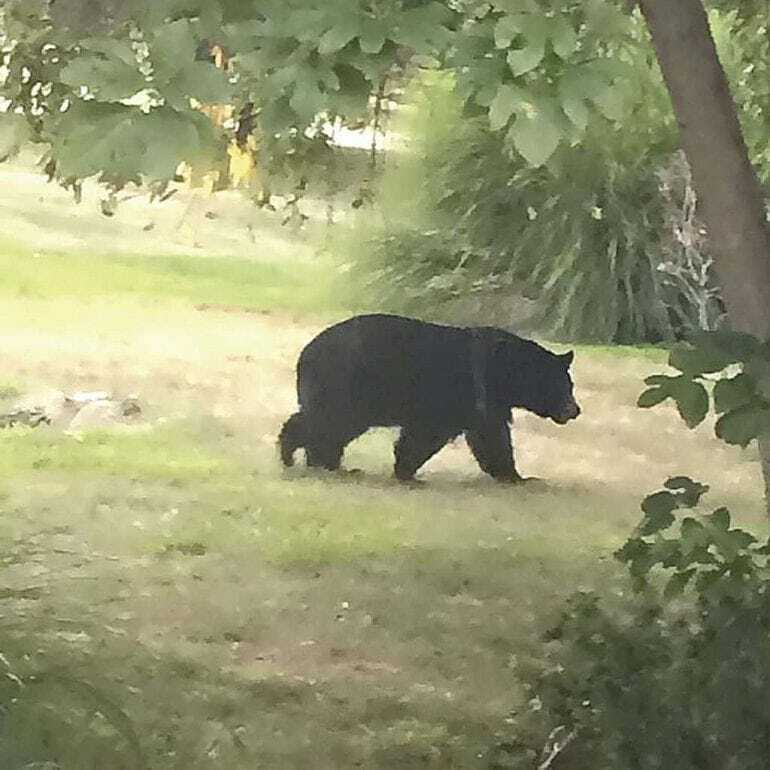 What would you do if you looked out your window to find a black bear roaming around your yard? Panic? Invite them in for hot cocoa and a donut? These residents opted for the safest option – they called animal control. It wasn’t long before they had a specially trained team of staff on their way to take care of the bear. 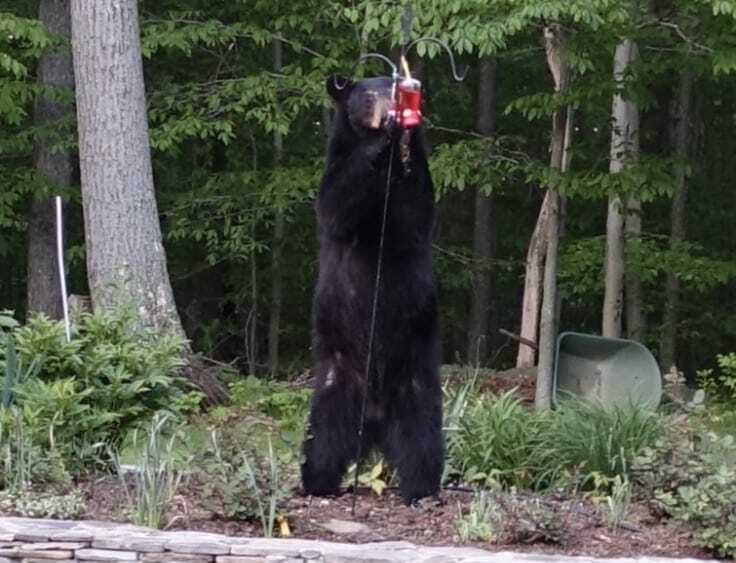 No one wanted to see the animal get hurt, but they couldn’t risk the black bear injuring one of the people in the neighborhood. It wasn’t long before the team arrived at the door. However, there was an issue. Even when they are on all fours, they can be up to three feet tall. When black bears stand on their back legs, they can easily reach staggering heights between five and seven feet tall. The team knew it was going to take all of their strength and cunning to outwit the bear. They knew they had to find a way to take them down but was there a way to move them on safely without anyone getting hurt? There are many ways to capture wild animals. It could be a trap with food, a giant cage, or the simple stick and box technique. These are all great ideas, but might not be the best if you need to take down an animal that weighs hundreds of pounds. The team only had one option: they needed to tranquilize the bear. The animals would be in no harm. Instead, the bear would fall asleep so the team could take them somewhere safe. The plan sounded simple enough. The team lined up the dart gun with the bear. Deep breaths. Stay calm. One wrong move and it could be over. They pulled the trigger and hoped it had worked. They were in luck! The bear began to panic. One minute they are innocently looking for food and the next they are being shot at with a tranquilizer dart. Now, they were surrounded by humans. The bear knew they needed to get away and started to run. Only, this bear had nowhere left to go. They ran until they met the water, but couldn’t stop. They were getting tired. If they gave into the sleep then who knew what the humans might do? They had to keep going. 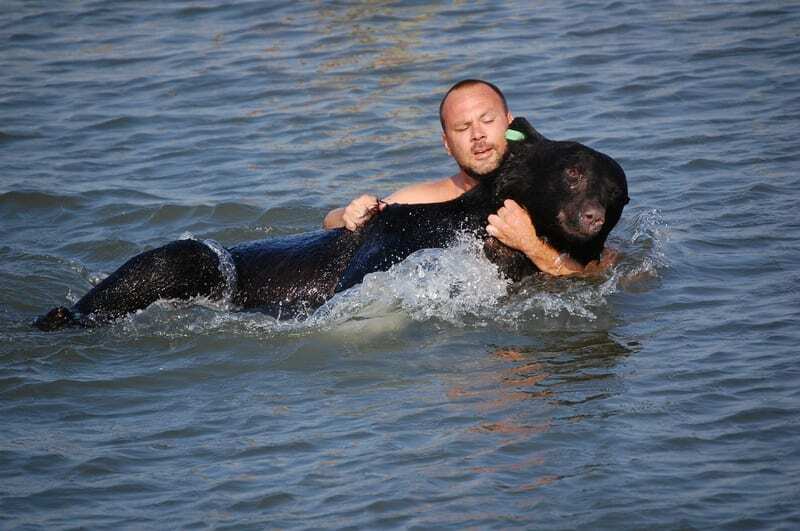 Adam Warwick was one of the many on the team working to save the bear. Adam worked as a biologist for the Florida Fish and Wildlife Conservation Commission so was used to seeing animals of all shapes and sizes. 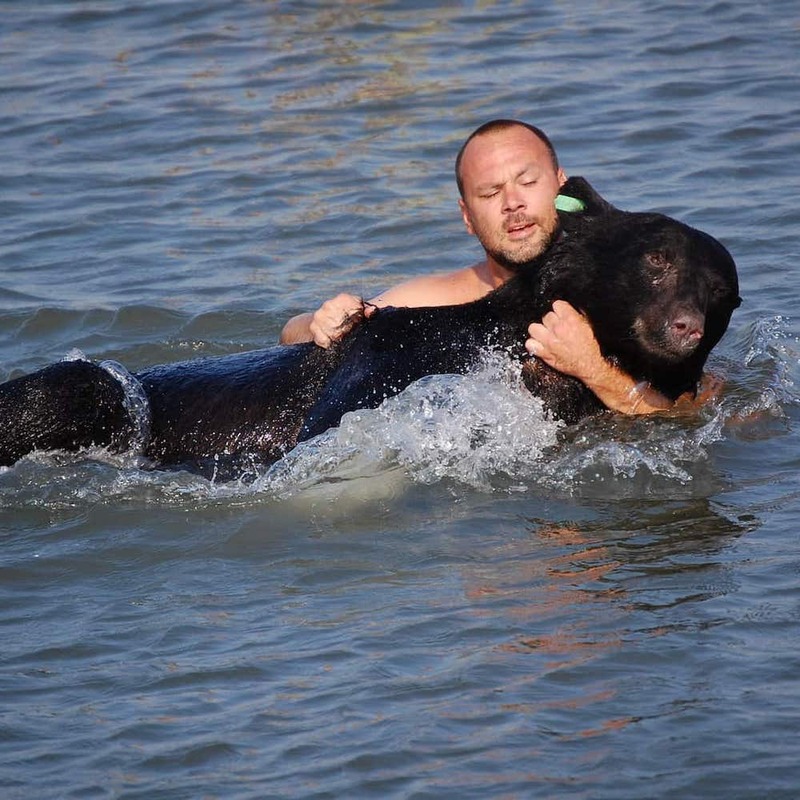 The bear rescue should have been no different. That was until the creature began to run. Adam was one of the many that were left in awe as the 375-pound bear started to head to the water. Now, they were beginning to paddle out into the Gulf of Mexico! Adam couldn’t stand back and watch as the bear swam into the water. The tranquilizer was starting to work and it wouldn’t be long before the bear could no longer fight the effects. Adam kicked off his shoes and threw off his shirt. He had no idea what he was going to do, but it wasn’t going to be sitting back and watching the bear get into difficulty. 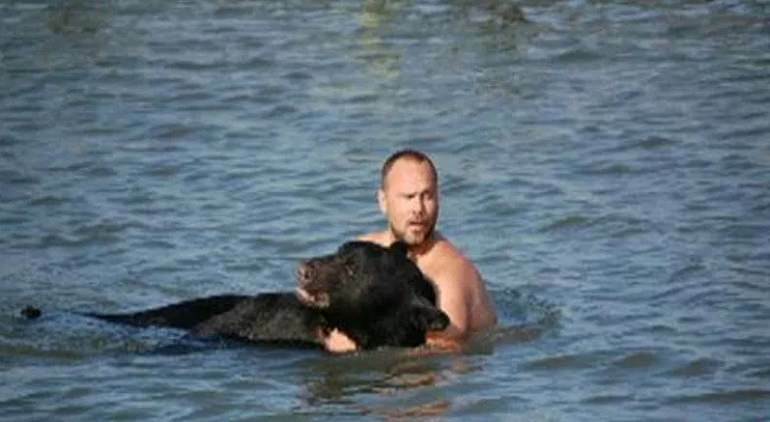 As quickly as the bear had run into the water, Adam was now swimming after the animal. 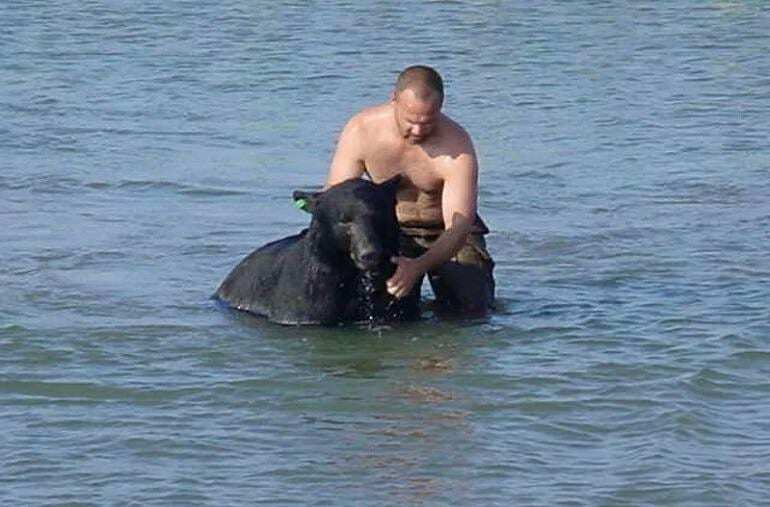 Now Adam was in the water, what was he going to do to stop the bear? 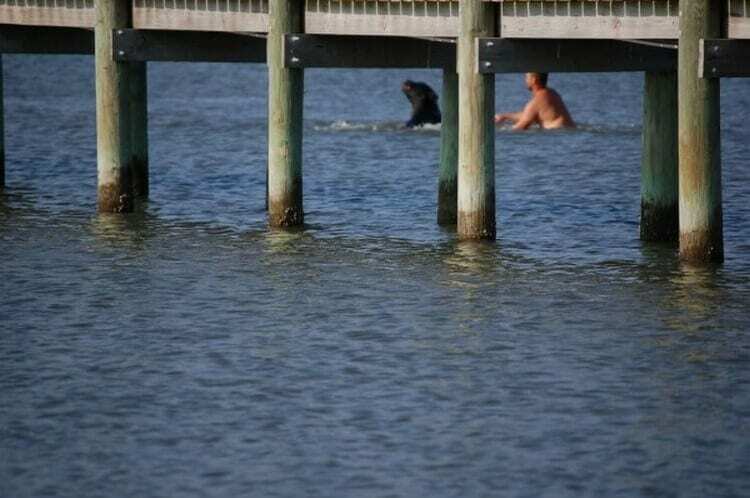 The animal was already about 75 feet from the shore and showed no signs of slowing down. The further out they got, the more dangerous it was becoming, the current was starting to get stronger, and both Adam and the bear were growing tired. Adam had to think on his feet. He knew the only way he stood a chance of stopping the creature was to get in front of the bear, would he make it? 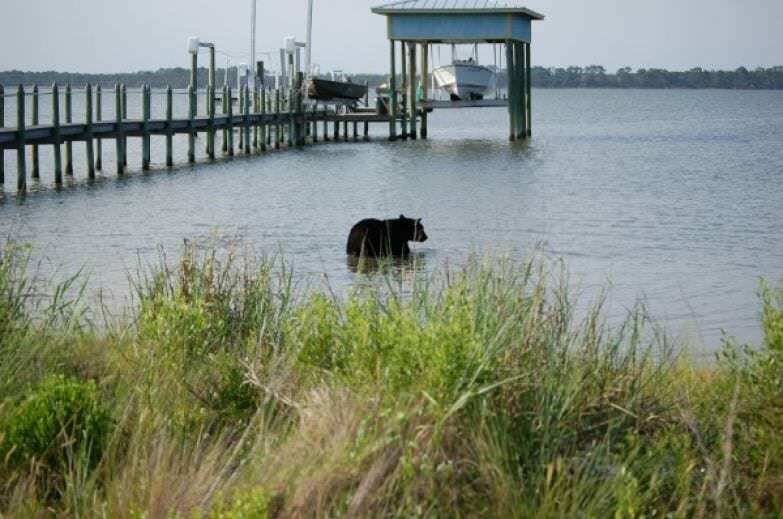 The bear had swam into part of the harbor that was four miles across. If Adam wasn’t quick, they could lose the animal forever. 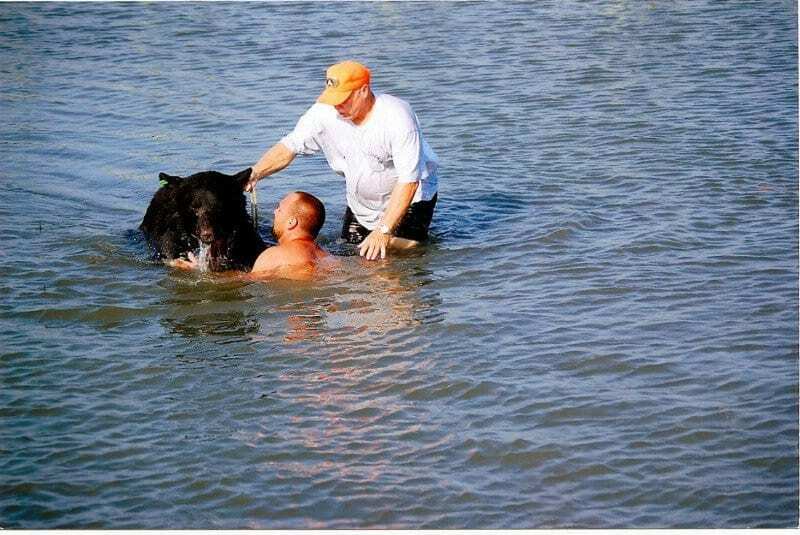 Thankfully, he managed to get in front of the bear and started to splash around. It was the only way he could think to get the animal to turn around. However, there was another issue. Adam was struggling to reach the floor. The bear had no problem. The creature didn’t like Adam’s performance and reared up on its hind legs. Now, Adam was stood underneath a seven-foot wild animal. The bear may have been tall, but the dart was beginning to make it drowsy. Almost as soon as it stood up over Adam, the bear tumbled backward. It couldn’t fight the effects any longer. Sadly, the bear fell over and went under the water. Although only a few seconds had passed, the animal still had come back up to the surface. Adam began to panic and knew it was his time to step in and help. Where had the bear gone? As well as the bear being under the water, Adam had other worries on his hands. The waters were infested with stingrays and the biologist was concerned he could be stung by one of the passing creatures. After all, he was now invading their territory. To top it all off, the bear had managed to cut Adam’s foot in the struggle. He was now fighting to stay above the water, struggling to find the bear, and bleeding out. Time was of the essence. Adam dove under the water and amazingly managed to find the bear! Would he be able to drag it back to safety? The biologist hooked one arm underneath the animal and grabbed onto the scruff of its neck with the other. Now, it was time to try and get out of the water. Sadly, the bear was heavy and Adam was losing strength. The hardest part of the task was about to begin. Adam had to keep going if he stood a chance of making it out the water. Adam pulled and swam his way through the harbor. No one could believe the bravery of the biologist, but they didn’t know how to help. Eventually, Adam made it to the shallower water to where he could use the buoyancy of the bear to help float it to safety. However, they were still in four-foot-deep waters, so Adam had to hold the bear’s head above the surface if he was going to keep them safe. The shore was in sight. Could he make it? At long last Adam made it to the shore. Unfortunately, he still had to walk across broken concrete and barnacles as he tried to drag the bear onto the land. All the uneven ground meant his feet were cut to shreds. Amazingly, this and the cut from the bear were the only injuries the biologist sustained throughout the whole adventure. It looked as though everyone was going to make it safely out the other side. Now, they just had to figure out what to do with the snoozing bear. Many of the residents had come to see what was causing all the commotion. 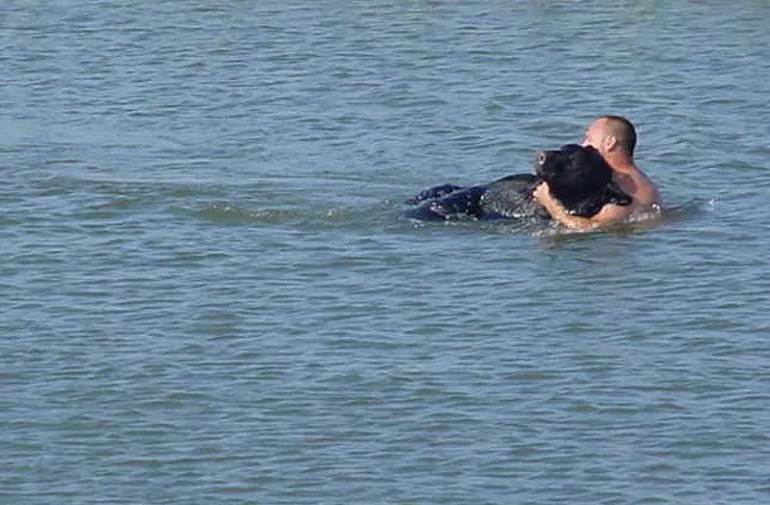 After all, it’s not every day you look outside to see a bear swimming into the sea with a man in hot pursuit. No one could believe their eyes. However, the residents were so stunned they had no idea how to jump in and help. 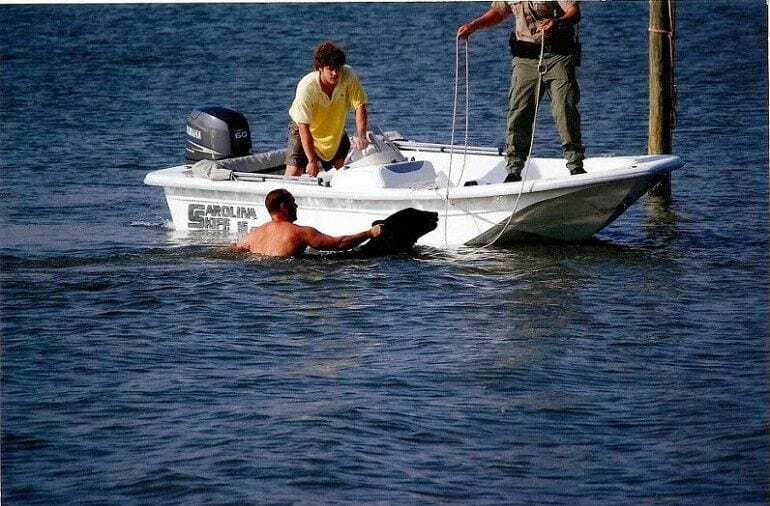 Wendy Chandler, one of the local neighbors, said that watching Adam pull the bear out of the water was like watching a lifeguard pull a human to shore. 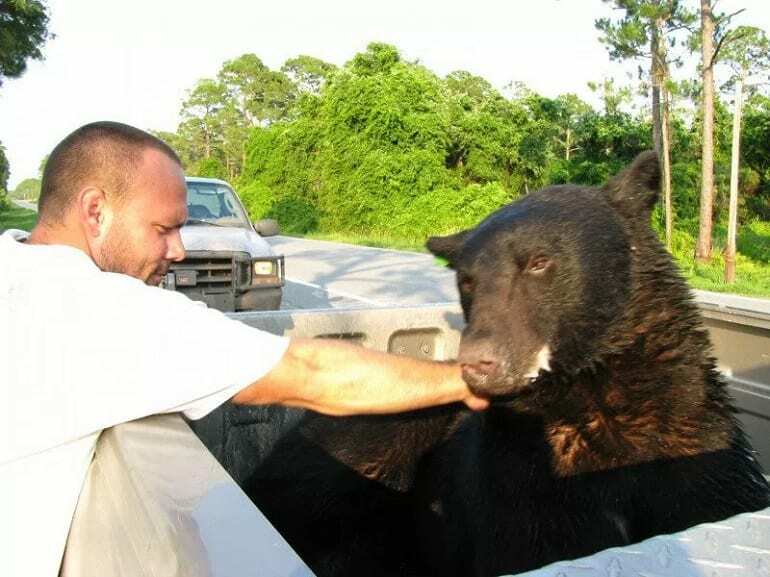 Adam and the team worked to get the bear onto the back of the truck. Finally, they were able to put their original plan into motion. 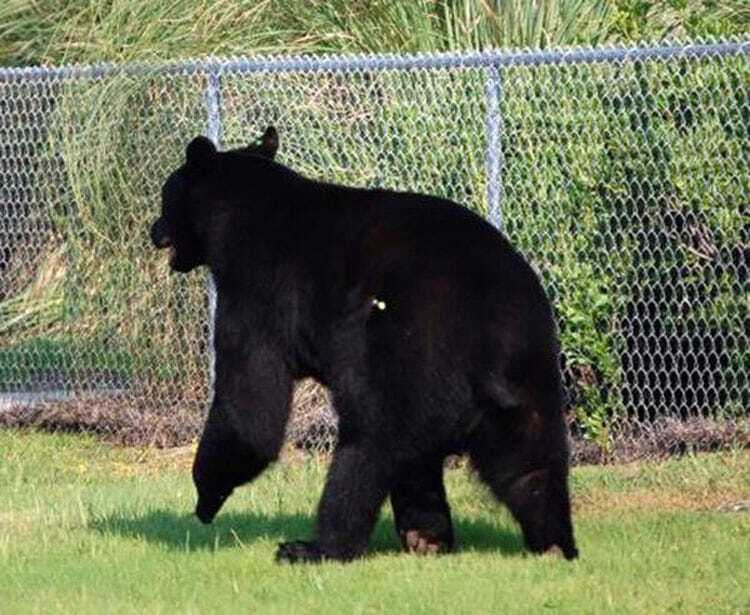 Now, the bear was on their way to the Osceola National Forest in Florida. Although the bear would now be living nearly 200 miles away, the animal can now live out of harm’s way. As for Adam, he has reported that he was doing what any animal lover would do if they saw a creature in need. Many of us may have had to deal with raccoons or possums that decide to dig through our trash or yard when we are sleeping. They may be annoying, but it can be easy to look past their mayhem and let the creatures be. However, some of us live in bear territory. Here, the problem no longer stands just one foot off the floor. Instead, these creatures can tower over the average human as they come in search of food. 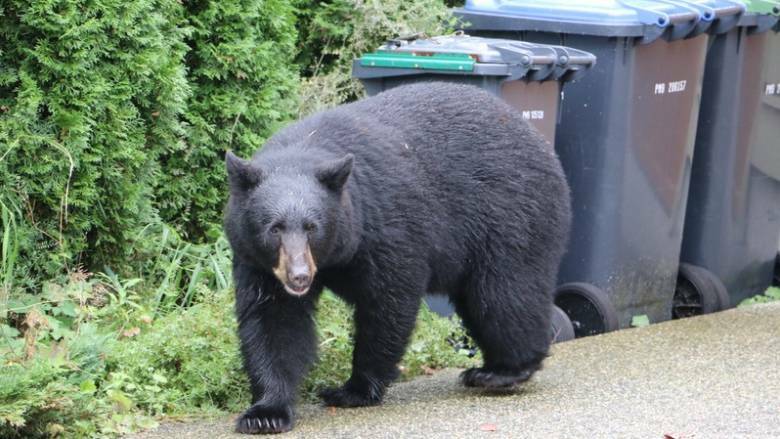 Bears can cause a major inconvenience for everyone in the area, as well as be a huge threat if they feel in danger. They may have cubs to look after and aren’t willing to risk their lives.